Mustad Friesland is the main producer of steel horseshoes for the European market within the Mustad Hoofcare Group. We focus mainly on the riding- and sport horse segments of the EU market and pride ourselves on the fact that all our shoes are still produced in Holland. The factory strategy is build upon three pillars namely; technical excellence, product development and team work. Mustad horseshoes are designed and crafted according to two key principles: the best shoes for the horse and optimal ease of application for the blacksmith. For this reason, our range of products is very broad. Mustad horseshoes can be applied to suit practically all possible circumstances, from the physical condition of the horse to any local requirements. 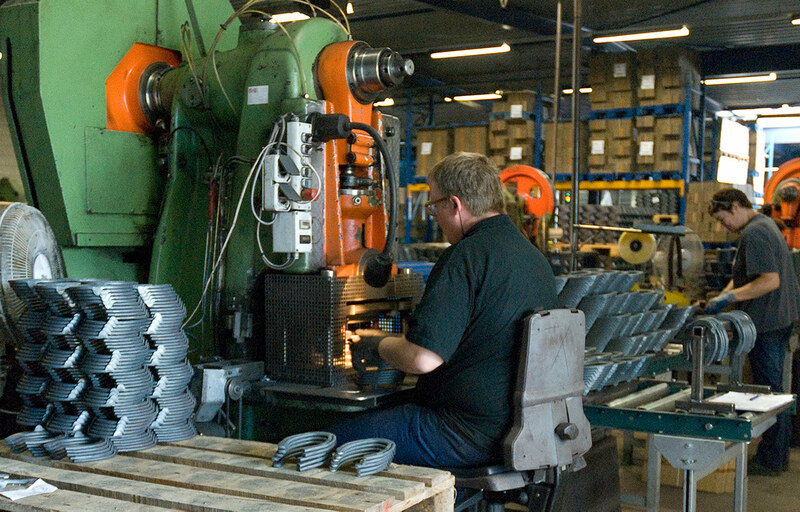 At Mustad Friesland, our factory, the objective is to deliver the best possible horseshoe. We work in a state-of-the-art production environment, ensuring that you can always rely on the precision and consistency of our steel forged horseshoes. In 1994 a couple of entrepreneurs decided to start a small horseshoe factory in Drachten called Basic BV. Although they lacked the financial strength and in-depth knowledge of the market, they made up for it in technical knowledge and entrepreneurial spirit. Unfortunately, however, after a short but difficult two years they had little option left but to sell their factory to the highest bidder. This is when Mustad stepped in. They brought with them their financial strength and more than 100 years of experience in the farrier industry, to create an unstoppable combination. After several years of expanding, improving and growing the business, Mustad has managed to turn the once small factory into one of the most successful and fastest growing horseshoe factories in the world. It is that entrepreneurial spirit, combined with technical excellence and market research that is still at the core of the factory today. At Mustad Friesland we work with enthusiasm on our products, whether it concerns new, innovative processes or professional finishing of the end product. We do this in a pleasant, industrial environment where collegiality and safety are paramount. It is illustrative of the working atmosphere that more than half of our employees have now celebrated their 12 1/2 year jubilee! Are you looking for a job at Mustad Friesland? Then visit our vacancy page!